1. Is hosted PBX easy to install? Because your hosted PBX provider will often give you all the equipment you need, (i.e., just a phone) set up is simple. Compared to a traditional telephone system which can be labor and time intensive, a hosted PBX solution can have your business line up and running very quickly -- you can even sign up online. Once you do, just choose whether you'd like to port over your existing phone number or get a new one, and then choose the number of extensions you need. Then, once your phone lines are configured, voila! You're a satisfied hosted PBX customer. 2. Do I need to upgrade my Internet provider? Hosted PBX works over an Internet connection, which means reliable Internet access and proper bandwidth is a must to ensure that your phone system is working properly. If you're using a shared network, it'd be wise to consider setting up your own Internet connection to maintain proper connectivity, quality and security for your phone service. While this might slightly increase your monthly Internet payment, think about all the money you'll be saving on long distance calls, technicians and hardware -- all of which are included! Furthermore, it's worth mentioning that you can have voice and Internet on the same plan, but you want a provider that can help you prioritize usage. Remember - not all providers are created equal! In fact, there are a few questions to consider when it comes to quality of service and how the client connects as well as how a provider manages usage/prioritized. Consult your provider and choose what's best for your needs. 3. Will hosted PBX give me the features I need? 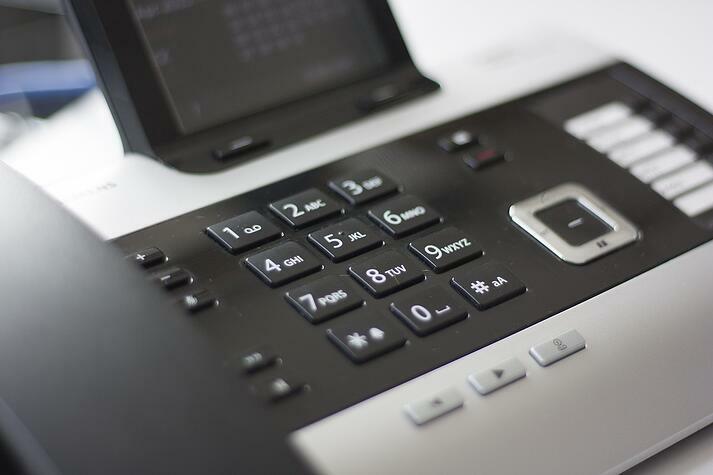 Does it sound like hosted PBX is right for your business? Whether you're all in or still have some questions, our team of professionals can help you work through the details. Leave a comment below or contact us directly!